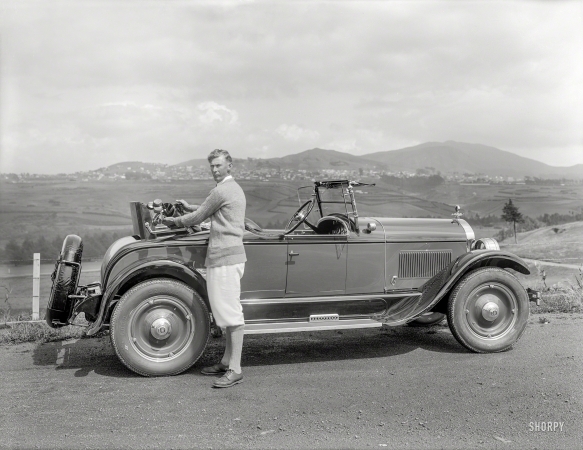 6½ x 8½ glass negative, originally from the Wyland Stanley collection. San Francisco, 1924. "Flint roadster at golf course."